Smoked Holiday Turkeys! Order Today! BMC has a new home! 7205 Cutler Lane, Corvallis, OR 97333 at Vitality Farms. The shop is up and running just in time for hunting season. We are currently accepting game for hanging and processing. 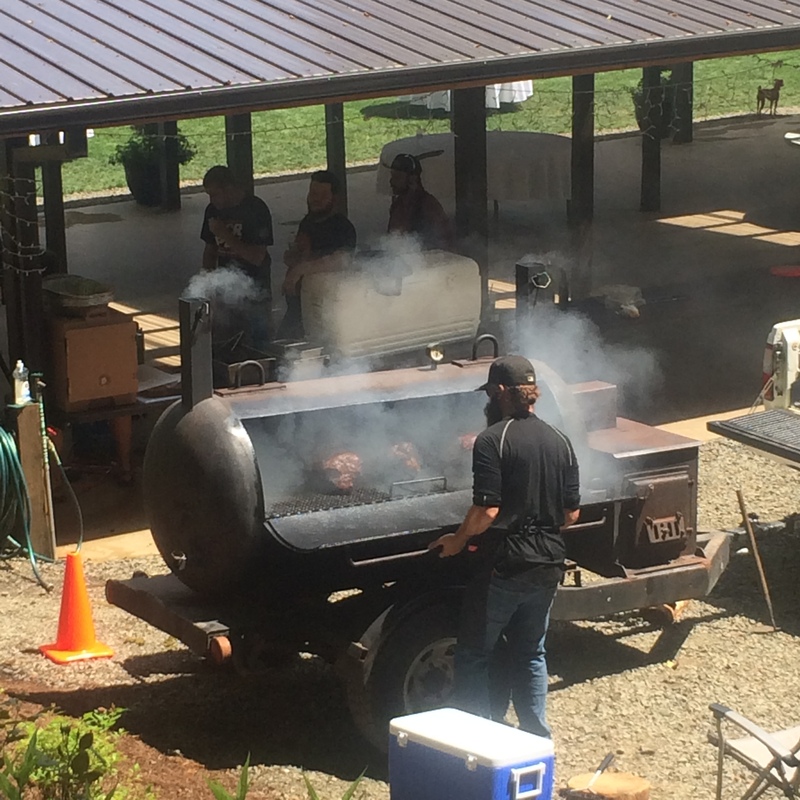 For more information, pricing and options, please contact: burnheimermeatco@gmail.com or 541.231.4085. Dolores is a tough lady. 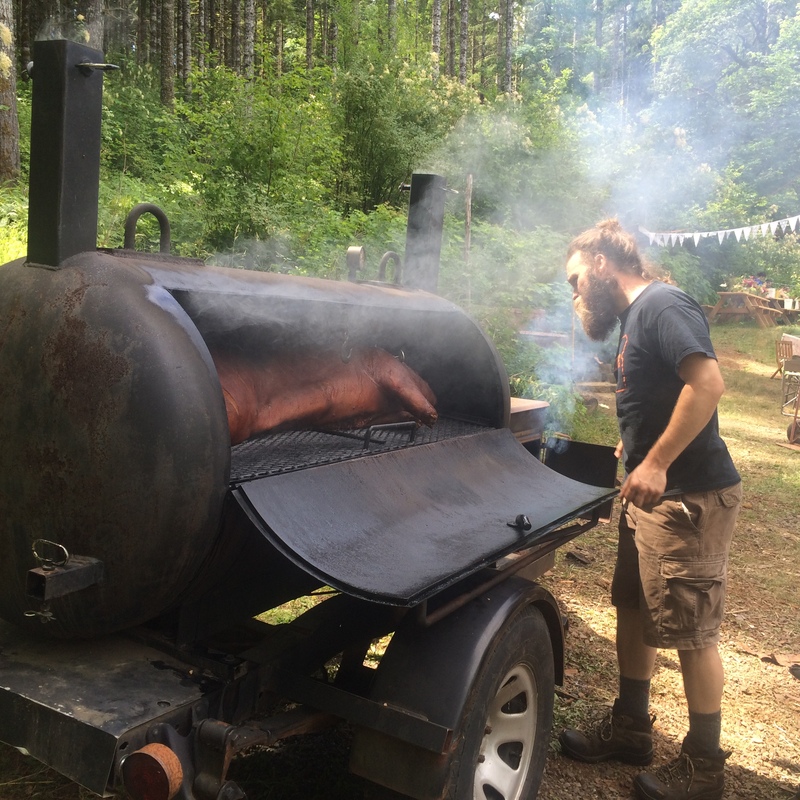 She’s a custom built wood-fired smoker that can handle just about anything. Built from a steel tank with a stamped date of 1946 and a side wood stove to boot on a heavy duty trailer frame, she’s built to last. I named her after my German Grandmother who taught me the love of cooking and eating. Dolores and I are for hire. Weddings, whole animal roasts, gatherings and long term meat preservation. We have you covered. Dolores is insured and fire safe. 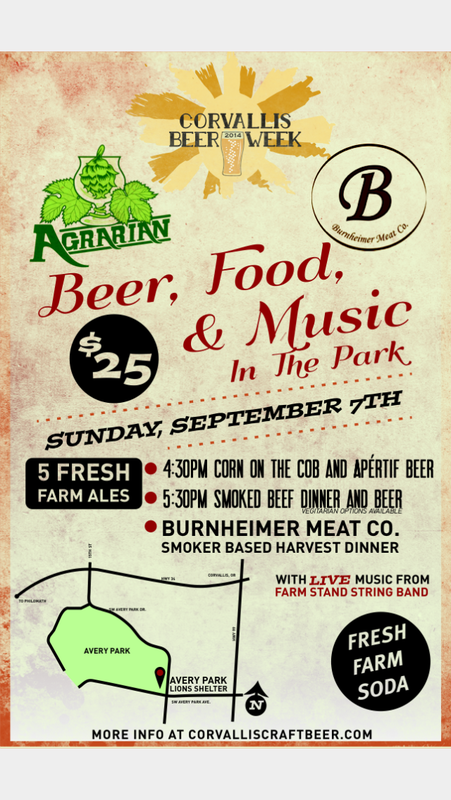 If interested email: burnheimermeatco@gmail.com or call: 541.231.4085. BMC on KLCC, the sequel, Sunday, high noon. Thank you to all who listened to KLCC last week. Fortunately, I will be on again! Sunday, Noon to One. I will be talking with Laura McCandlish about the newly launched BMC Meat CSA as well as charcuterie and the pursuit of butchery. Click here to stream the show BMC on KLCC. Thank you again for your support! This Sunday I have the pleasure of being a guest on KLCC’s Food for Thought. The show airs from noon to one. Chef Brian Polcyn will also be a guest. Please tune in and support your local meatsmith! We put together a collection of images from yesterday’s butchering, but a quick warning: while we believe it’s important to know where our food comes from, and to recognize it for what it is, a few of the images in the collection are graphic. Please use your judgment. Click on the image at left to visit the slide show hosted by flickr.